It was supposed to be a week of celebration for the New York Mets. Mike Piazza was inducted into the Baseball Hall of Fame on Sunday and the festivities would culminate in an evening honoring the great catcher on Saturday evening. Instead, the Mets fell further out of the playoff race with a series of frustrating defeats in which their offense was a complete joke. This week’s honor for Mets’ Player of the Week goes to of all things, a backup catcher. However, Rene Rivera was no joke this week at the dish. Although he is not the starter, Rivera is outperforming the regular catcher, Travis d’Arnaud, even when taking the latter’s disabled list stint into account. Rivera has doubled d’Arnaud’s home run output and has almost twice as many RBI’s in 46 fewer at-bats. The 33-year old veteran played in only three games over this past week but he was a force in two of them. 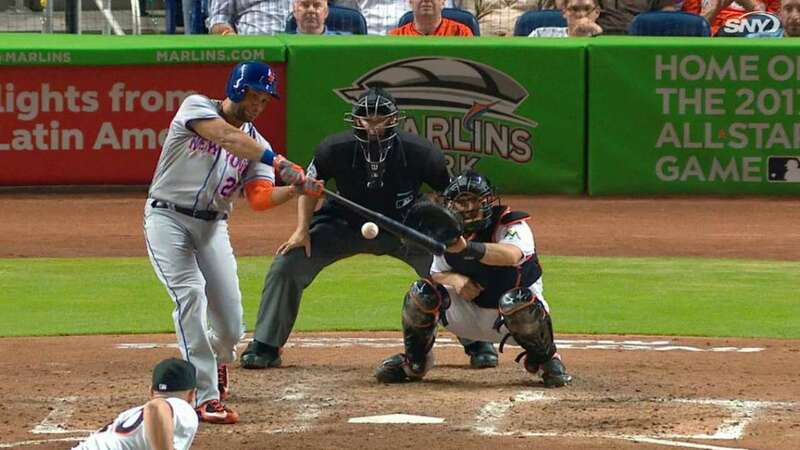 He delivered the big blow on Tuesday with a two-run home run, supplying the only offense as the Mets dropped the first game of a doubleheader by a score of 3-2. On Thursday, Rivera’s double in the second accounted for his team’s only run as New York lost another excruciating game by the score of 2-1. 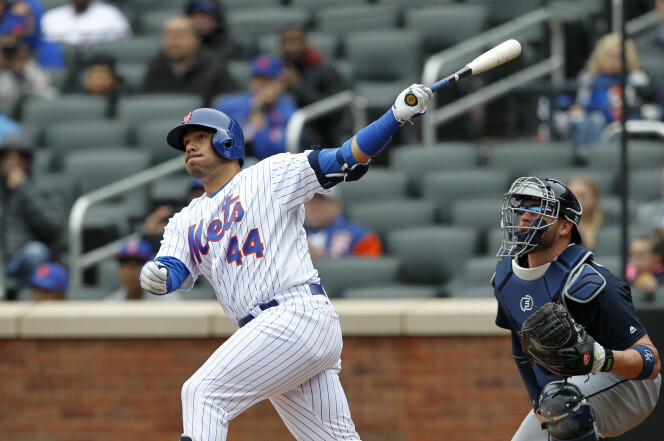 Besides Jacob deGrom, Rivera was the only bright spot with three hits in four at-bats. The fact that Rene Rivera is this week’s Mets’ Player of the Week shows you how sorry the state of affairs is in Queens. Despite a woeful offense, it seems the only deal the New York Mets are interested in that moment (outside of a flirtation with Jonathan Lucroy), is one for a reliever. Recently, I attempted to help general manager Sandy Alderson by recommending in one post Brad Ziegler and in another one Joaquin Benoit. It was a game but futile effort as both players were eventually dealt elsewhere as Ziegler went to the Boston Red Sox and Benoit landed with the Toronto Blue Jays. Now word comes that Alderson and company might actually be ready to strike. The Angels could also move Huston Street. But the Mets’ interest to this point has centered on Joe Smith. The side-arming right-hander, originally taken by the Mets in the third round of the 2006 Draft, is in the final year of a three-year, $15.75 million dollar contract he signed with the Angels prior to the 2014 season. He was brilliant that season, with a 1.81 ERA and 15 saves in 76 games and was forced to close when Huston Street was injured as Los Angeles captured the American League West title. The last two seasons haven’t been as pretty with a 3.58 ERA in 70 appearances last year and a 3.96 ERA in 37 games so far in 2016. 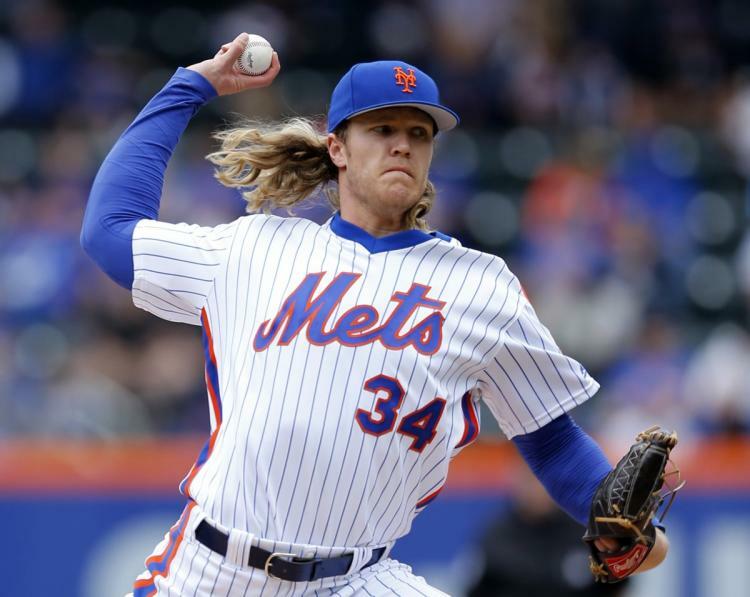 However, his struggles this year could be the result of a stint on the disabled list because of a hamstring injury and right now he has seven consecutive scoreless outings. 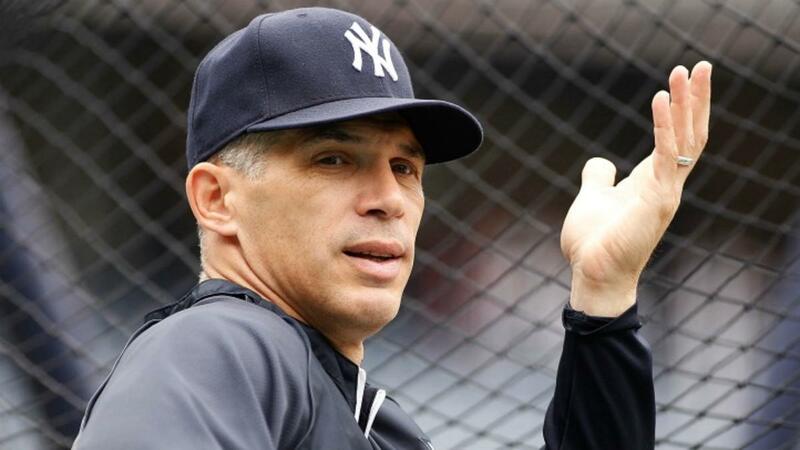 Given New York’s futility at the dish, one would think the organization would do something to fix that. However, the asking price for Lucroy and even Steve Pearce (according to ESPN’s Jerry Crasnick and mlbtraderumors) is a bit high for the Mets so they are better off more affordable options. One place to start would be the bullpen where even Jeurys Familia has been vulnerable lately. 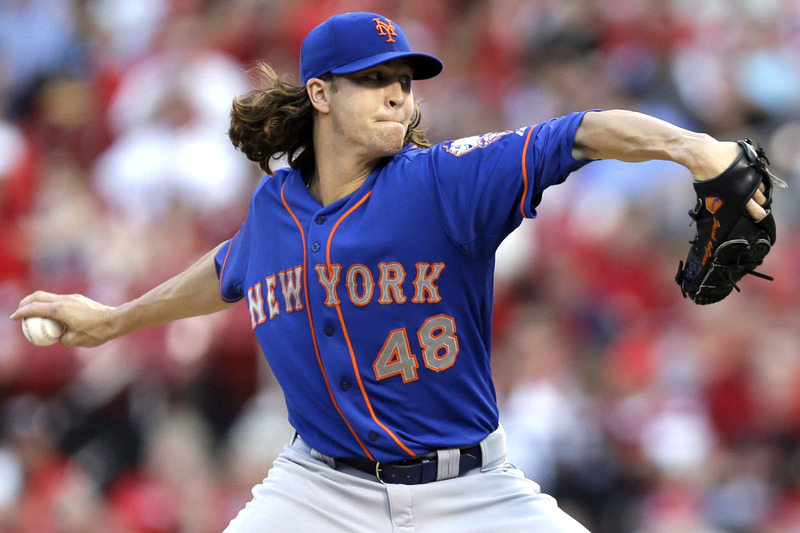 The New York Mets lost a devastating two out of three games to the St. Louis Cardinals. Once again, their offense couldn’t get runners home as the team left a total of 18 men on base in the two defeats. With a record of 53-47, they are now 5 1/2 games behind the Washington Nationals in the National League East and still on the outside of the Wild Card picture. Now they play a four game weekend series against the Colorado Rockies, who swept three games from them at Coors Field May 13th-May 15th. The Rockies come in a little wary, having to play a 1:10 PM game on Thursday after playing a 7:05 PM game the previous night in Baltimore. Colorado is on the absolute fringes of the playoff chase with a record of 49-52 and in third place in the National League West but 7-3 over their last ten contests. If you follow me on Facebook, you know the affection I have for Colorado third baseman Nolan Arenado. I can make the argument that he is the best all-around player in the National League. He is second in all of baseball in RBI’s with 78 and is tied for fifth in home runs with 26. 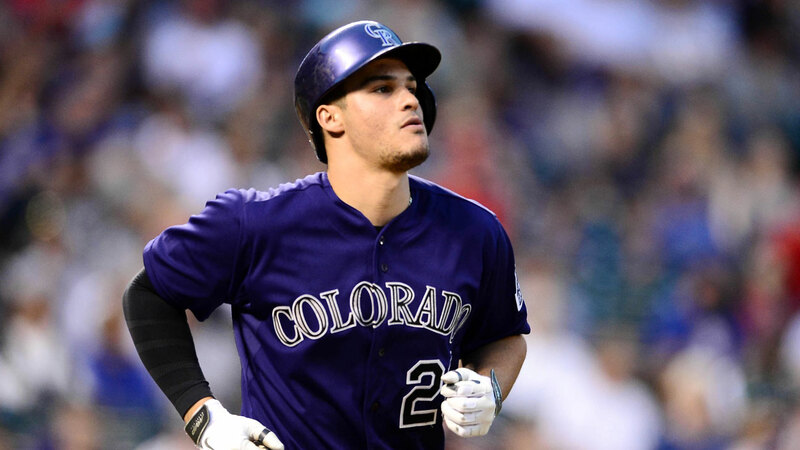 If the Rockies can get closer to a Wild Card, you should see Arenado’s name mentioned as an MVP candidate. Shortstop Trevor Story is the front runner to win National League Rookie of the Year with 27 homers, tied for third among all Major League hitters. He has six long balls in his last 15 games but is a strikeout machine with 127 whiffs in 404 plate appearances. Second baseman DJ LeMahieu continues to be a force at the plate, hitting .327 which is fifth among all Major League batters. He has nine hits in his last 27 at-bats. Carlos Gonzalez, forever the subject of trade rumors, is having another All-Star season with 20 home runs and 62 RBI’s while batting .317, 11th among all hitters. On the mound, left-hander Tyler Anderson takes the ball in the opener, facing Jacob deGrom. The 26-year old rookie is 3-3 with a 3.56 ERA in eight starts. 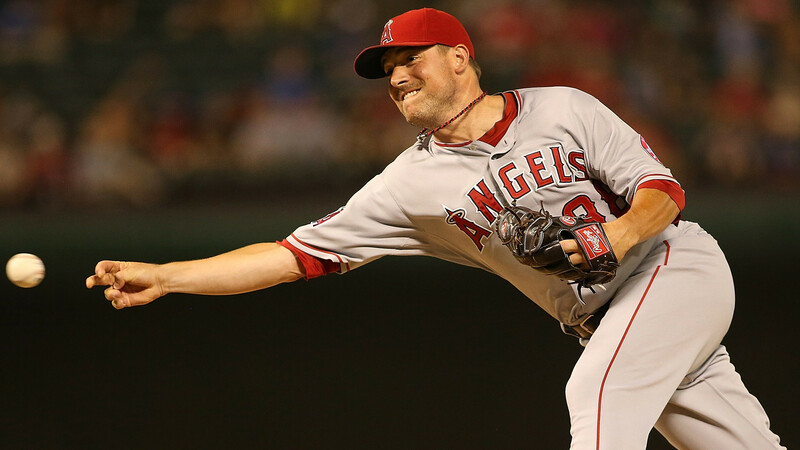 Over his last three outings, Anderson has allowed nine earned earns in 18 1/3 innings, striking out 15. On Friday, it will be Tyler Chatwood vs. Steven Matz. The right-hander is 5-0 with a 1.30 ERA in eight starts on the road. One of his few solid home outings came on May 15th against the Mets as he hurled seven innings of three run ball as the Rockies won by a score of 4-3. Chatwood is 9-6 overall with a 3.65 ERA in 18 starts. On Saturday, it will be left-hander Jorge De La Rosa facing off against Bartolo Colon. It’s been a tough year for the veteran with a record of 6-7 with a 5.70 ERA and a brief demotion to the bullpen. 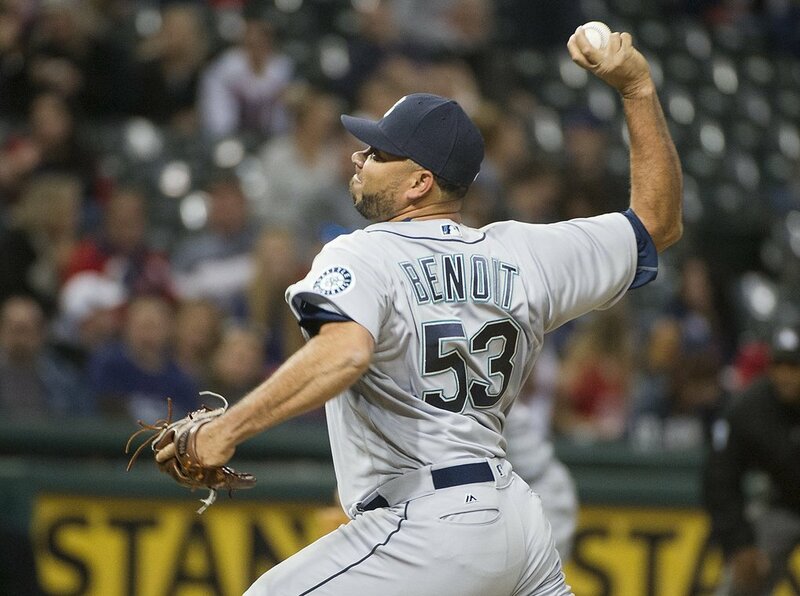 However, he had a good outing on Monday vs. the Orioles, allowing only one run on four hits in 6 1/3 innings. The finale on Sunday has right-hander Chad Bettis facing Noah Syndergaard. Bettis is 9-6 with a 5.19 ERA but has been solid over his last three games, allowing five earned runs in 17 1/3 innings, picking up two victories. The Rockies’ bullpen has settled down with rookie right-hander Carlos Estevez becoming the closer. He has allowed three hits and two runs in ten July appearances. The return from Tommy John surgery of power righty Adam Ottavino has also helped. He hasn’t allowed a run and has surrendered only three hits in his first ten appearances. Jose Reyes has been diagnosed with a Grade 1 left intercostal strain. Dilson Herrera was scratched from last night’s game for the Las Vegas 51’s. 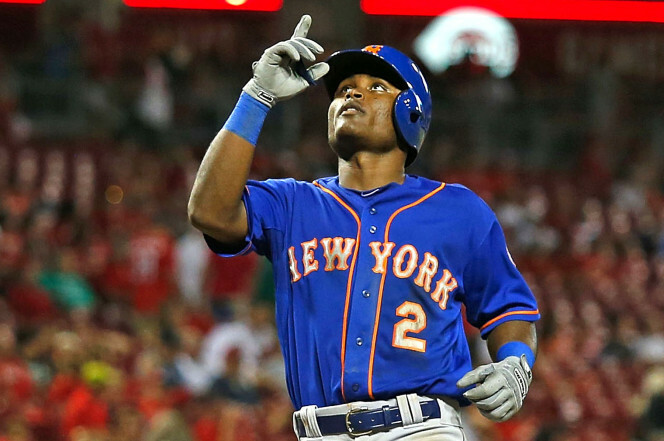 The easy conclusion to draw is that the New York Mets are about to put Reyes on the disabled list and recall Herrera to take his roster spot. The 22-year old Herrera, who has received 149 at-bats with the Mets over the last two years, appears to be on track to be the club’s second baseman next year. With Vegas this season, he ranks third on the team in three categories: hits with 96. home runs with 13 and RBI’s with 55. On to other farm happenings within the organization. Catcher Tomas Nido of the Class A St. Lucie Mets has been stinging the ball as of late. He has 17 hits in his last 45 at-bats, a .395 average with seven RBI’s and six runs scored. He leads St. Lucie in hitting at .317 and is tied for third in home runs with six. The 22-year old Nido was New York’s 8th round pick in the 2012 Draft out of Orangewood Christian School in Maitland, Florida. He has been an All-Star selection in each of the last two seasons and is on pace for his most productive season as a professional. Nido is not listed among MLB’s top 30 prospects in the Mets’s system but his numbers suggest otherwise. Only one catcher is in the organizational top 30, Ali Sanchez at #15 from the Brooklyn Cyclones. Nido deserves a spot as well. If you are Matt Oberste, it is easy to get lost among the other Met prospects. He plays first base for Double A Binghamton, the same position and team that is home to Dominic Smith, New York’s top prospect according to MLB.com. He, like, Nido is not ranked in the top 30. However, that doesn’t mean that the 24-year old Oberste isn’t a productive player. 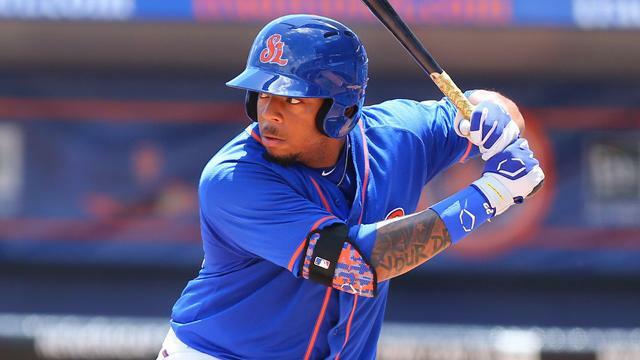 Splitting time with Smith at first and designated hitter, his .291 batting average and 38 RBI’s are both second on the B-Mets and his .344 on-base percentage is tied with Smith for fourth. The right-handed hitting Oberste was a Post-Season All-Star in the Florida State League last season was named this year’s Top Star in the Eastern League All-Star Game with a 4 for 5, 4 RBI performance. He was New York’s 8th round selection in the 2013 Draft out of Oklahoma. Despite struggling with a 13-19 record and in last place in the West division of the Appalachian League, the Kingsport Mets are only 3 1/2 games out of first place. 2015 fifth round selection Thomas Szapucki was outstanding for the Mets before being promoted to Brooklyn. The lefty allowed only two earned runs in 29 innings, a span covering five starts. As a team, Kingsport has good offensive numbers, ranking third in both on-base percentage at .342 and stolen bases with 41 and is sixth in batting average at .261. However, despite Szapucki’s dominance, the pitching staff has been less than average. Their WHIP (Walks plus Hits per Innings Pitched) of 1.43 is ninth in the ten team league and their 4.71 ERA is eighth. The only solid number for the unit as a whole is strikeouts as they have compiled 298 of them, good for second.